In Movement Kids, children 5th grade and younger will experience Jesus on their level. Movement Kids is an age-appropriate and safe environment where kids have their own gathering with a Bible lesson, games, small groups and lots of fun. The Bible is taught in a creative and relevant way for each age group. We are very passionate about kids learning about God’s Word in a way they can understand. We would love to see you and your family visit Movement Kids! Our Nursery is a calm, caring environment planned with your little one in mind. We can’t wait to meet them! 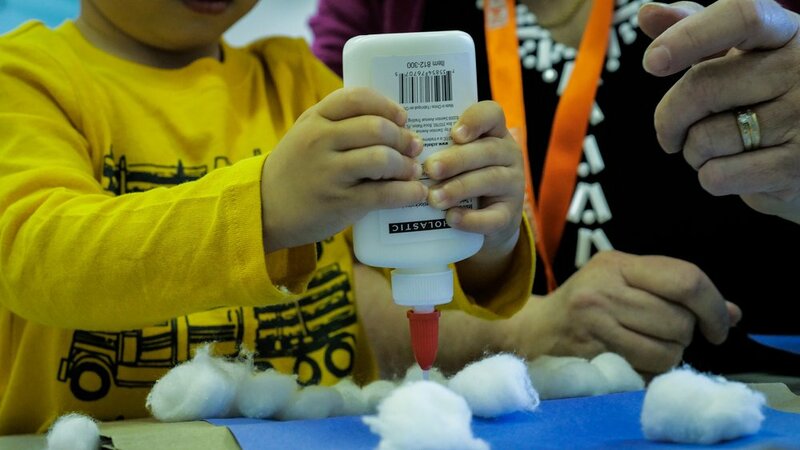 We believe in an active, hands-on approach to learning. Be on the lookout for fun crafts and big games. We look forward to helping your little ones learn more about God, in Movement Kids. Our Elementary is 1st -5th graders. In our elementary environment, we believe the Bible should never be boring and good leaders always care! Our focus is making God’s Word real and alive (Hebrews 4:12). We want kids to see how God's Word fits into their lives, to learn how to talk to God, and to build friendships that will last. For Students in grades 6-12 we have a group to help them grow and Move in their faith. It meets on Sunday mornings. They first gather and worship in our main worship venue at 10:15am and then are dismissed to go and dig in to a teaching just for them with some awesome leaders! Don’t worry, we will let you know when it’s time for them to head back!